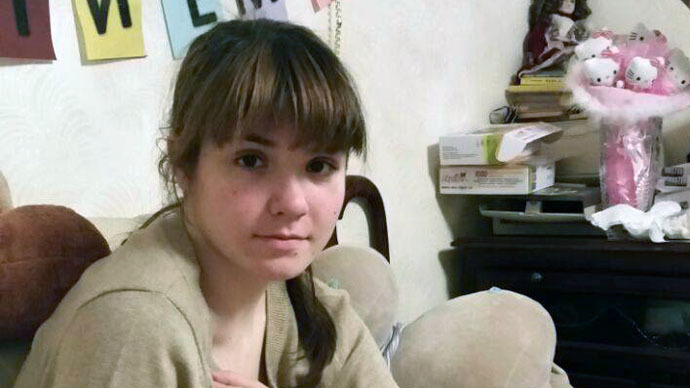 Moscow State University philosophy student Varvara Karaulova, who was caught trying to cross the Turkey-Syria border illegally, reportedly to join ISIS, was part of a group of 13 Russian citizens, the Russian embassy in Turkey says. "Karaulova was detained as part of a group of 13 Russian citizens. Their names are now being clarified," the embassy's press attaché Igor Mityakov told RIA Novosti. Varvara went missing on May 27, flying to Istanbul without telling her parents. Russian investigators suspect she was recruited by the terrorist organization Islamic State (formerly known as ISIS or ISIL). The Russian Investigative Committee said on Friday it will determine whether there are grounds to start a criminal case on charges of "Pressuring, recruiting or otherwise involving a person in the activities of an extremist group." Varvara is a straight-A student of the Moscow State University philosophy faculty. She has no Muslim background. Her parents say she is fluent in English and French. She has also recently started studying the Arabic language and Islamic cultures. That is when books about Islam started to appearing in their apartment. But her family didn't pay much attention, thinking learning about other cultures and religions was part of her philosophy studies, Varvara's father said in an interview to The Insider. Varvara's friends say that while she left home every morning wearing secular clothes, in the university she put on a Muslim headscarf and long-sleeved dark dresses. She also changed her name in WhatsApp to Amina and wrote it in Arabic script. Her father claims Varvara's change had nothing to do with the atmosphere within the family. "Varya undoubtedly was, and still is, a beloved child," he told The Insider. "Her abilities were above average and she put them into practice. Of course we had conflicts, but the current atmosphere in our family could not have brought about what happened. "Turning 18 years old, a person goes out on his own path; it is the normal way of things. Perhaps, it was an oversight on our part that we did not prepare her enough psychologically. Varya is still too open, too vulnerable, and I would say homegrown. And perhaps that is what was targeted by professional manipulators, by well-prepared recruiters." In contrast, Varvara's Arabic teacher told LifeNews that he doubts her disappearance had to do with the Islamic State. He said she was reasonable, if a bit withdrawn, and had an interest in learning Turkish – a language not used by ISIS. Her knowledge of Arabic, the teacher says, "was limited to the alphabet." Interpol detained her and others when they were trying to illegally cross from Turkey to Syria. The arrest has been confirmed by Turkey's interior ministry. She is currently being held at a facility of Turkey’s National Immigration Agency. Varvara’s father told RT by telephone that he felt relieved when he learned that his daughter was found. However, he hadn't yet had the chance to talk to her. If it is found out that Varvara indeed intended to join ISIS then there could be a criminal case against her, according to a Russian Interior Ministry source. Varavara Karaulova has not been expelled from university, and her dean said he had no plans of doing so. He will, however, demand an explanation from her family as to why she missed May exams.